Here at Restaurants Brighton we are clearly big fans of the Brighton food scene and it is clear to see that the quality of Worthing restaurants is on the up. Brighton’s success has made it one of the go to destinations in the UK, and not just for those looking for a day trip. Brighton has long been a popular destination for people looking to get out of London or those looking to relocate and start a new life. This has had a knock-on effect in pushing up house prices and rents, which unfortunately has pushed many people out of the city. Brighton’s loss has, however, has been a positive influence on surrounding towns and cities. Worthing, located just a 25 minute drive along the coast, is one of those towns that has experienced a bit of a boom thanks to people leaving Brighton but still wanting to live by the sea. West Sussex’s largest town boasts a fantastic promenade and seafront, has its own pier with a theatre attached and even has a cool retro cinema. Worthing is also seeing an evolution in its pubs, bars and restaurants with more places opening all the time. The Brighton exodus, combined with passionate locals, have driven an improvement in Worthing that we felt needed to be recognised here on Restaurants Brighton. Here is our list of the top ten places to eat in Worthing (recently revised), with everything from super fresh seafood through to an authentic taste of Sicily. Centrally located Aqua Worthing brings us the whole dining package. Stunning architecture and interior design gives this venue a classy feel while the food is relaxed modern Italian, perfect for the whole family. offering an all day dining experience the venue opens its doors from sunrise to sunset. Breakfast is served from 8.30am until 12 noon everyday and our favourites on the menu are the amazing veggie breakfast and homemade pancakes with summer berries and maple syrup. Lunch sees a lighter style menu embrace the Italian vibe and the dinner menu begins at 6pm. 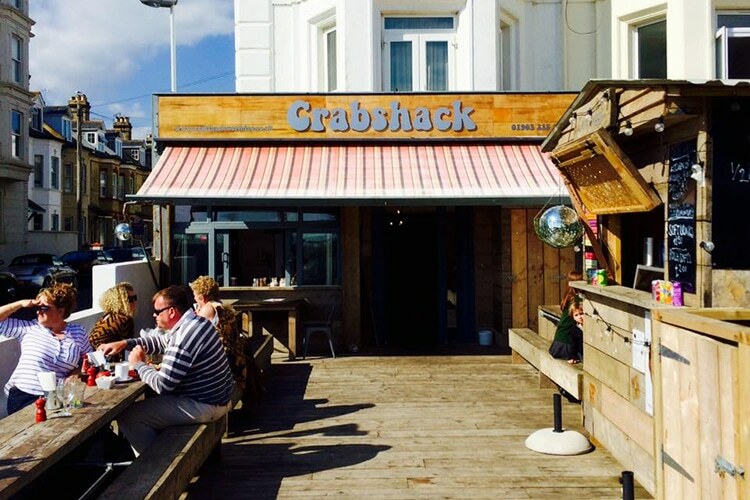 The Crabshack is a superb local seafood restaurant that makes the most of the greatest resource on Worthing’s doorstep. Situated on the beachfront at the edge of the city centre this is the must try venue in Worthing. The family run restaurant offers super fresh seafood in a relaxed and unpretentious setting. The food is cooked to order and when its gone its gone. With everything from crab sandwiches through to grilled lobster, depending on the days catch, you can expect some of the best seafood around served simply and with love. On a sunny afternoon you cannot beat sitting on their outdoor terrace with a cold beer and bag of cockle popcorn. If you are looking for authentic Neapolitan pizza, made with a sourdough base, you can find that here at Fiordilatte. 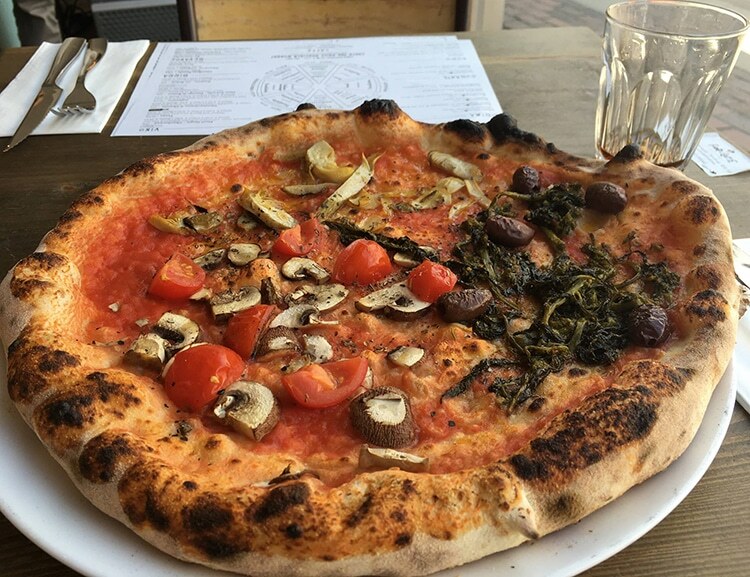 Pizza has been through a UK wide renaissance in recent years and Worthing is well served by this Italian pizzeria and gelateria. 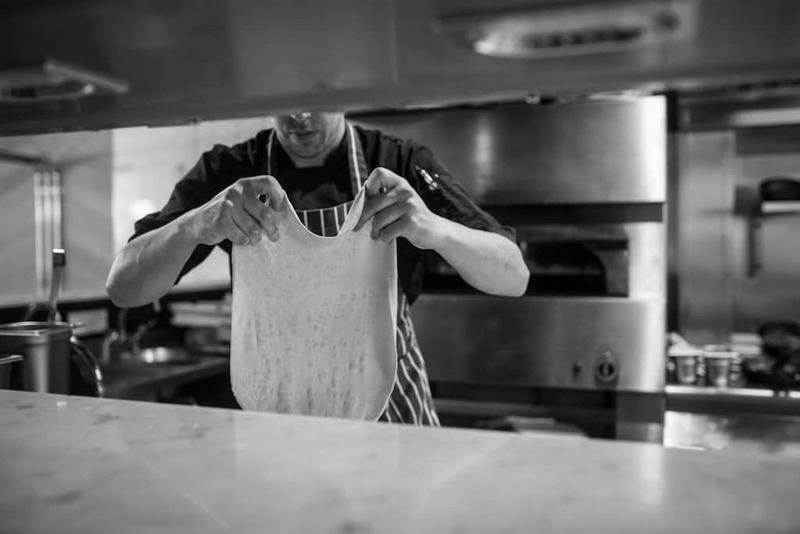 For anyone that is a regular visitor to some of Brighton’s top pizzerias, Fiordilatte will be very familiar. A simple menu of freshly made and honestly priced pizzas is supported by daily specials, classic starters and delicious desserts. 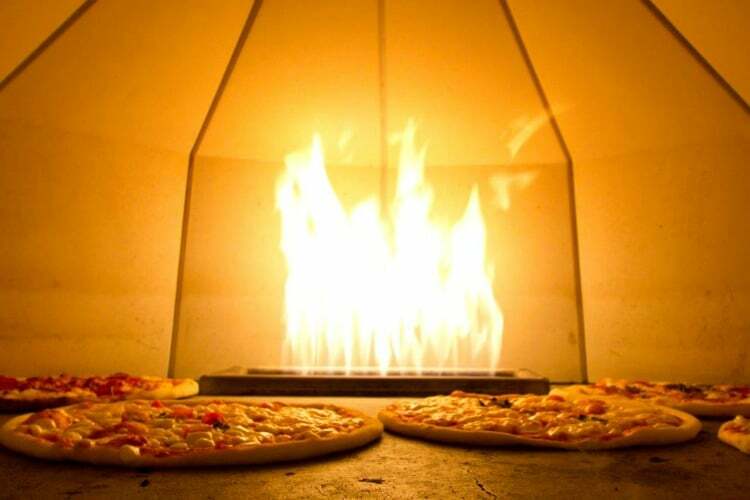 The wood fired pizza oven dominates the centre of the restaurant and provide a focal point for diners. They even run pizza masterclasses where you can come and learn the skills of the pizzaiolo. The Beach House is a relaxed and informal beachfront bar and café that serves home cooked food and gourmet burgers. The Beach House is passionate about locally sourced produce and aims to source all of their ingredients from local businesses that they have a relationship with. This is also true of their ales which they source from exclusively Sussex based breweries such as Arundel, Burning Sky and Downlands. The Beach House is a popular local spot, and comes to life on a summers evening with the outdoor heated terrace overlooking the pier and beachfront. 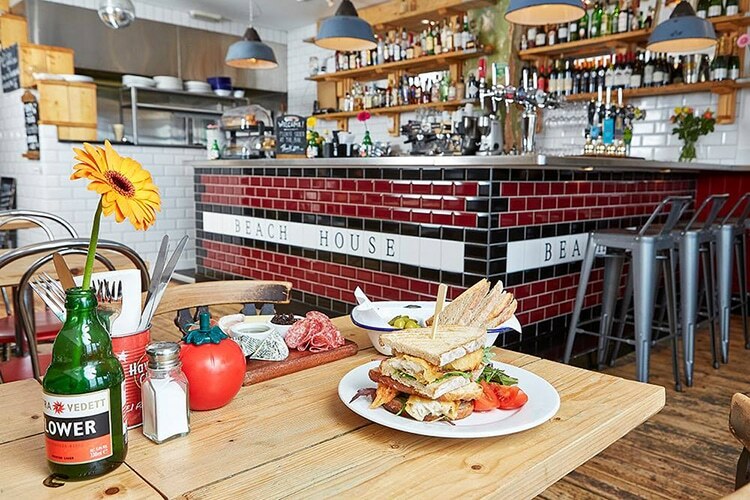 A great spot for a drink with friends or a bite to eat, The Beach House is a real Worthing gem. No prizes for guessing what this restaurant specialise in, but they do so with great aplomb. It might not look much from the outside, and the interior is a little cramped and basic but don’t let this put you off. What you will find is fantastic and friendly service, authentic Thai food that has not been adapted for the UK market and generous portions that will keep you full for hours. Open all day and operating a lunch and dinner menu, Thai Street Food is a Worthing favourite for locals and visitors alike. 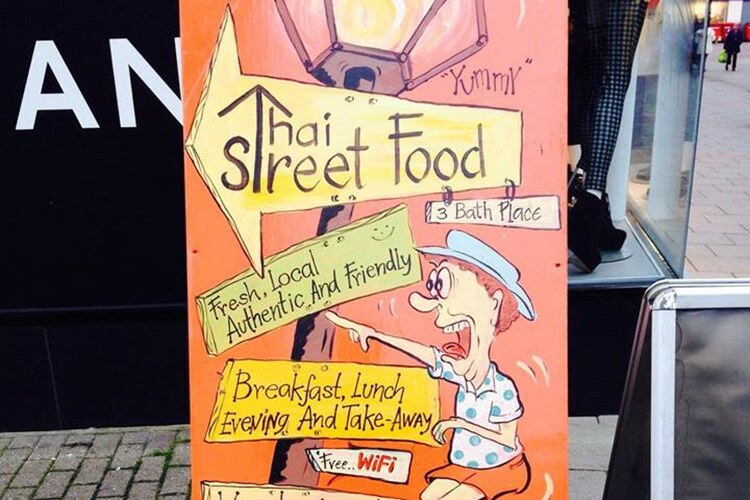 If you are a fan of Thai food and know your Pad Thai from your Pad Ki Mow then a visit to Thai Street Food in Worthing should be for you. Giuseppe’s was born out of owner Giuseppe Manganaro’s love of good Italian food, made with fresh ingredients and served in a friendly atmosphere. They serve a range of authentic Italian dishes from classics such as lasagne and vongole through to their chefs signature dishes which include lavish seafood platters and traditional Sicilian dishes. They source locally, buying fish from local Worthing fishermen and meats from Sussex butchers. Anything Italian is sourced from their homeland, including a signature coffee blend imported from Sicily. 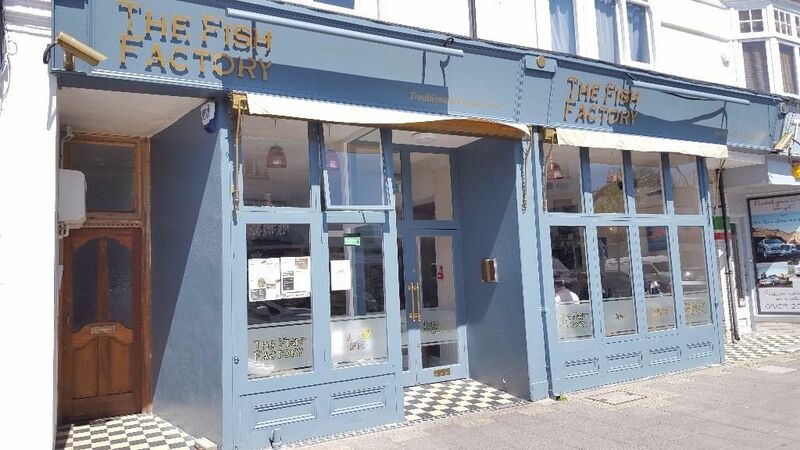 The Fish Factory is part of the Worthing Proto Group of restaurants, which include the Fat Greek Taverna and Food. The Fish Factory is the original member of the group and as such makes it into this list. Serving only the freshest seafood, sourced from sustainable fisheries they are passionate about line caught fish. The Fish Factory believe in authenticity, which for them means sourcing ingredients from their country of origin. That means you get chorizo from Spain and pasta flour from Italy. The Fish Factory is a relaxed and comfortable dining experience, with professional service and quality cooking. 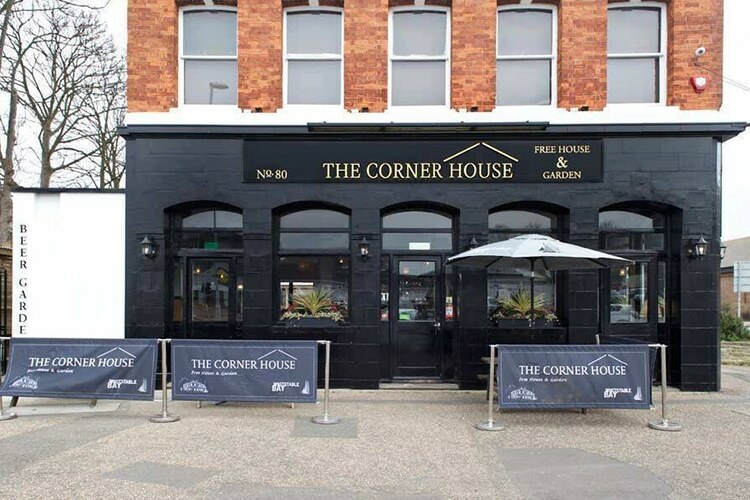 Situated on the site of one of Worthing’s oldest pubs, you will find the recently renovated Corner House pub. No list of top eateries would be complete without a decent pub food option and The Corner House is certainly that. The stylish pub looks fantastic with its traditional tiled bar and sleek black exterior. The food is quality home cooked comfort food, but made with great attention to detail and a desire to make almost everything onsite. The team bake bread and make ice cream in the kitchen and even have a smoker for fish dishes. Obviously, no food pub would be complete without a decent Sunday roast and The Corner House has got a stonker with all the trimmings. Didn’t think you would get through this list without at least one burger kitchen sneaking in, well here it is. 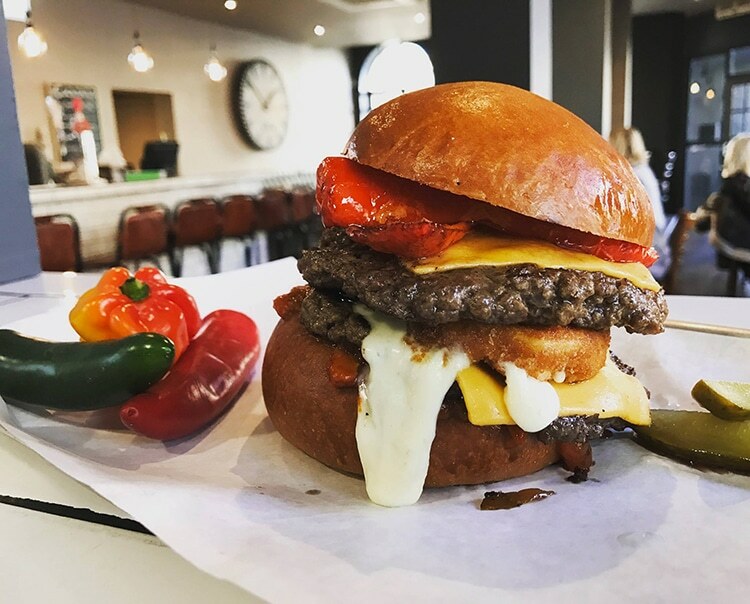 The Woods is a new burger joint in central Worthing that matches sizzling burgers with cocktails, craft beers and thick shakes, naturally. The menu features a variety of different burgers with mouth-watering toppings and interesting flavour combinations. Sides are a selection of all the usual suspects from skin on fries through to sticky wings and mac n cheese. The Woods is the sort of trendy and cool restaurant that probably would not have happened in Worthing a few years ago but is now right at home. One of our favourite Worthing restaurants. It is not just people that are moving from Brighton to Worthing but even the city’s restaurants are heading down the coast. 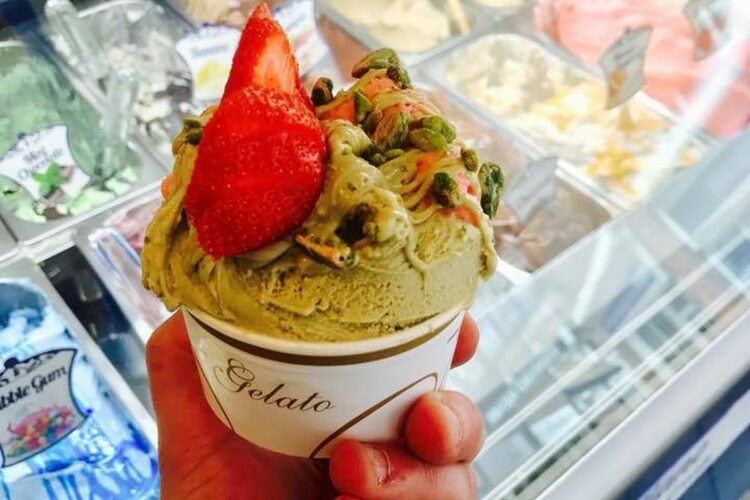 Pizzaface has long be a Brighton favourite and they now have a branch in Worthing with a mini Boho Gelato included. What makes the Worthing branch different is that this is also a sit in restaurant with seating and table service. 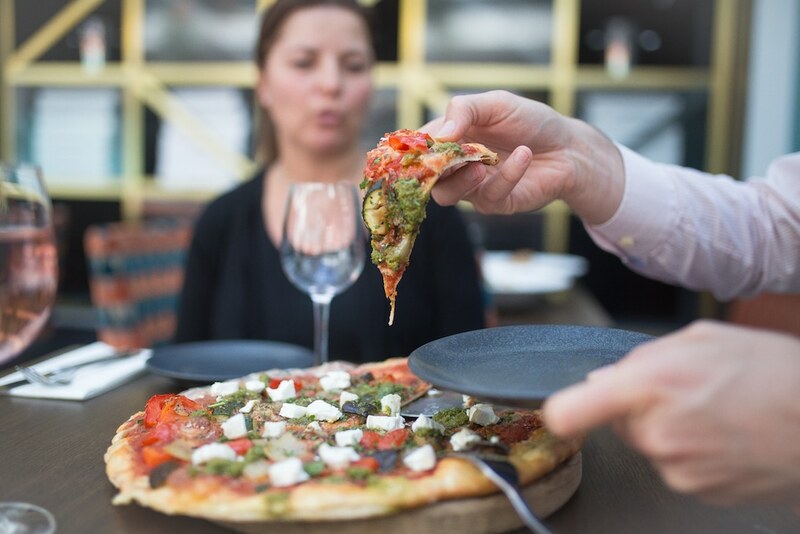 The quality is the same that residents of Hove and Kemptown are used to, with a range of pizzas and toppings that focus on quality fresh ingredients. If you are in town and feeling a little homesick for Brighton then Pizzaface will get you back on track and smiling. Bet you didn’t know that Worthing is the unofficial micropub capitol of Sussex. Lovers of The Watchmakers Arms in Hove will be familiar with the micropub concept, well Worthing was where it all started in area. Worthing boasts four micropubs, the original being Anchored in the centre of the city. If you’ve not been to a micropub then this is a great one to start. The Brooksteed Alehouse just north of the main station is a little more similar to The Watchmakers and The Green Man in West Worthing is somewhere in between. Want to takeaway? Check out Bottle and Jug Dept for some fab natural wines and bottled craft beer. 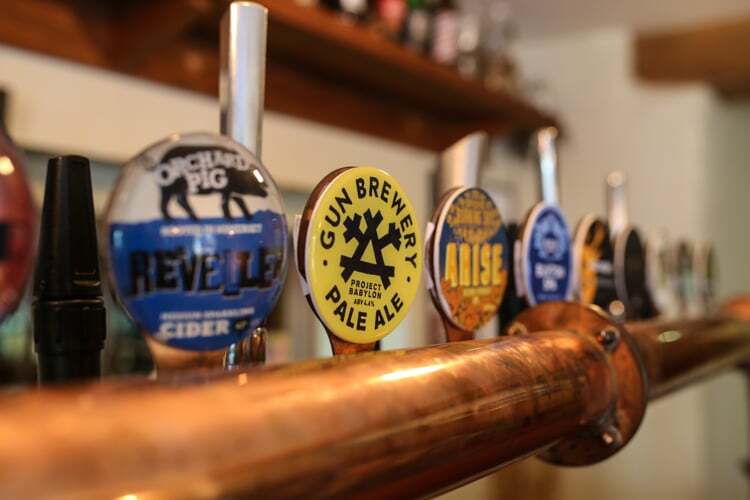 If ale is not your thing then The Goose and Libertine are great pubs with craft beers and interesting spirits to choose from. These are great central pubs with a lively evening feel. The Selden Arms is another local boozer that doesn’t look much from the outside but has a superb range of ales, craft and Belgian beers on offer. If cocktails are more your thing, then check out The Rocking horse cocktail bar on the Brighton Road. With a knowledgeable team of staff and a range of classic and modern cocktails, this is a fabulous little spot to get your cocktail fix.